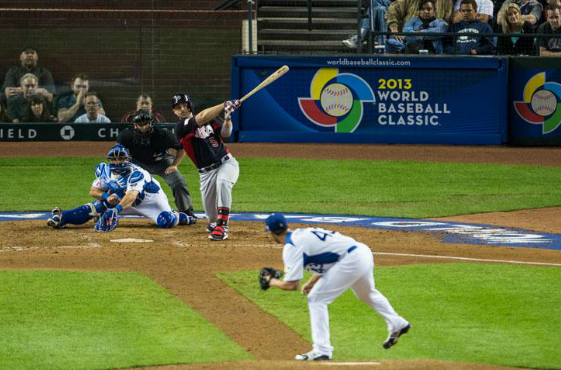 Team USA’s David Wright at bat against Italy, March 9, 2013. Source. As this year’s World Baseball Classic advances to the next round, SPEAR‘s co-founder Dan Rootenberg shares his observations from his time as Physical Therapist and Strength coach for Team Israel during the qualifying tournament. Ever since I began playing high school baseball in Brooklyn, I’ve noticed parallels between my quest for self-actualization on the field and my pursuit of success off the field. As an adult, my love of baseball continues to draw me back to the diamond, luring me to places far away from Manhattan, where I am the CEO of SPEAR Physical Therapy, a sports medicine and orthopedic PT practice. Over the years, I have played in baseball tournaments from Berlin to Zurich and Puerto Rico to Tel Aviv. At the age of 40, I’ve mostly hung up my spikes, and now spend my time coaching my son’s tee ball team and using my insight into the sport to enrich how I run my physical therapy practice. 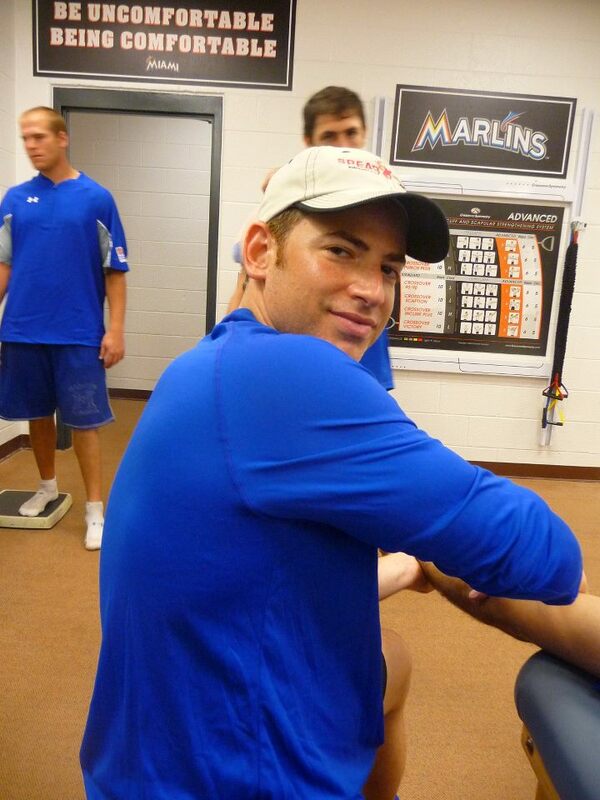 Last November, I volunteered to serve as the Physical Therapist and Strength Coach for Team Israel’s inaugural entry into the World Baseball Classic Qualifiers in Jupiter, Florida. Team Israel battled Spain, France, and South Africa for the right to compete in the main draw. 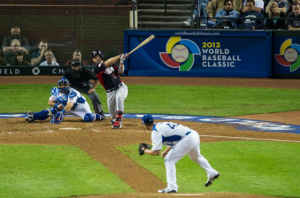 In a five-hour epic finale, Spain ultimately defeated Israel in a heart-breaker after 10 dramatic innings. While completely engaged in the competitive spirit that permeated the qualifiers, I also made the connection between the leadership necessary to create a cohesive clubhouse on the field and the management style best suited to develop a united culture in the business world. Glenn “Doc” Copeland: An emotional leader. Adam, a last minute addition to the Team Israel roster, is a study in perseverance, grit, and the power of leading by example. This former Connecticut high school athlete-of-the-year climbed his way through the Chicago Cubs’ minor league system and, on July 9th, 2005, made his major league debut. Within seconds of his very first appearance in the batters’ box, however, Adam became one of only two players in the history of Major League Baseball to be hit by a pitch in his first plate appearance without ever having taken the field. The 92 mile-per-hour fastball struck him in the head, caused a concussion, and abruptly halted his promising career. For more than a year, Adam relentlessly clawed his way back to the baseball field, battling multiple side effects of his concussion—including dizziness, vertigo, headaches, vision problems, and nystagmus (involuntary oscillating of the eyes)—along the way. 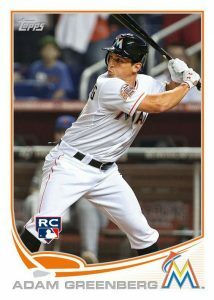 (For more background info on Adam, click here: http://oneatbat.com/). Adam’s approach to baseball personally inspired me. Willing, and even eager, to share his story with his teammates and anyone else who asked, Adam was a study in perseverance, inner strength, and ability to rise to any occasion. He followed a rigorous strength and conditioning program, a strict Paleo diet, and displayed an unwavering positive attitude. Adam’s routine seemed to influence those around him. I even found myself scooping the tuna fish off of the bread in my sandwiches anytime I was near him! Adam became a constant reminder to everyone he was around that while getting knocked down happens to the best of us, it is what you do next that reveals your true character. I have always believed that grit and resiliency are the best predictors of success, and Adam’s story is a perfect example. Not surprisingly, Adam’s story did not end there. His grit and resiliency resulted in his successful lobby by Adam and his new agent, Matt Liston, to the Baltimore Orioles for a contract and spring training invitation. This winter I made the Adam Greenberg story a part of our winter staff meeting at SPEAR as well as in a guest lecture to the graduating PT class at Columbia. In life, we will all get knocked down at times, but how we choose to respond is what is important. 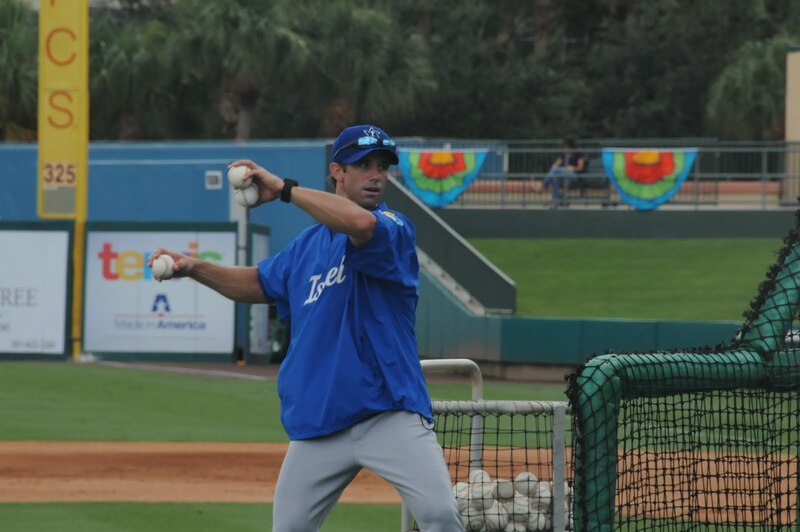 Team Israel manager, Brad Ausmus, himself a former All-Star catcher with an impressive 18-year major league career, knows the importance of team cohesiveness for a successful season. 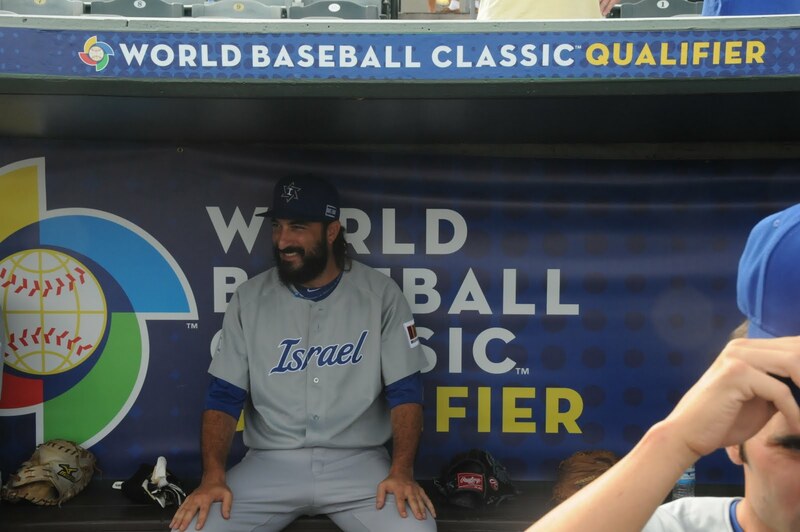 Most Members of Team Israel, however, had not even met each other before arriving in Jupiter, Florida, let alone played baseball together. Although there was little time for team members to develop the trust and camaraderie critical in team sports, Ausmus, through his charismatic leadership and uncanny ability to recognize and utilize seemingly innocuous moments as opportunities to team build, unified the team in record time. 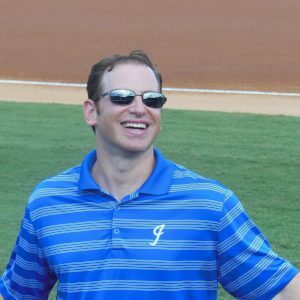 For example, early on Ausmus learned that Josh Weiss, a 30 year old reserve player from Israel, was being challenged to a footrace by his 14 year-old American nephew who traveled to Florida to watch him in action. Ausmus arranged a 60 yard dash between Josh and his nephew and announced the race to the team. After practice on the day of the big race, all of Josh’s teammates formed a double line in the outfield to mark the pseudo racetrack. Players chose which line based on who they favored in the race. As Josh lunged toward the finish line, all of his teammates cheered him on in vein as he was bested by his fleeter nephew! While the “race” itself lasted no more than 7 seconds, this surreptitious team building exercise had long lasting effects. It set a positive tone and created common ground for team members—Israelis and non-Israelis alike. Ausmus also masterfully exploited the fact that Team Israel was comprised of a mix of players, not all of whom were familiar with their Jewish heritage. 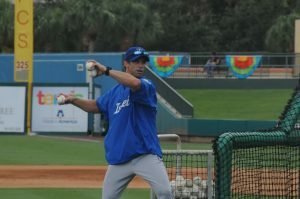 Ausmus encouraged the Israeli members to teach the others Israel’s national anthem, as players sang the Hatikvah in the clubhouse. This quickly led the non-Hebrew speaking members to solicit the Israeli members to teach them Hebrew phrases and sayings. In time, it was not uncommon to hear team members celebrating well-executed plays by calling out the Hebrew phrase “Ach Sheli,” which translated literally means “my brother”. In the same vein, Ausmus recognized the importance of humanizing the individual team members to each other. The day after the team’s initial win over South Africa, Ausmus put Israeli pitching legend Shlomo Lipetz on the spot in the clubhouse. After talking a bit about the game the night before, he switched focus and began asking him about how he got involved in baseball and his experiences as a baseball player. Other teammates began to pose questions to Lipetz about his childhood, his experience in the Israeli army, his full-time job (as the musical director of popular downtown NYC venue, City Winery), and other more personal questions. Ausmus had a knack for spotlighting the right person at the right time, covertly bringing the team together. While Ausmus, as team manager, always maintained an “in-charge” attitude, he also understood the importance of creating moments of jocularity to further team unity. For instance, Ausmus once commenced a clubhouse meeting with a stern look on his face as he cued a video feed. The players became visibly uncomfortable and a sense of foreboding swept the room. Warning the players that he had not liked the moves he had seen, Ausmus hit “play.” As the video started, the relieved players erupted in laughter as they watched a clip of their fellow teammates dancing at a club the previous evening. Ausmus utilized his charisma to lead but, more importantly, used it to unify the team efficiently and effectively. 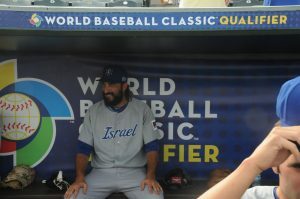 At the World Baseball Classic qualifiers, Steve Hertz coached the Israel National Team, made up of the Israeli players who did not make Team Israel (managed by Ausmus). By way of background, Hertz began playing in the major leagues at the age of 19 in 1964. His playing days ended in 1969, and he followed his calling to become a legendary coach. He was selected the Miami Coach of the Year six times and was inducted into the Miami High School and Florida Community College Activities Association Halls of Fame. Without a doubt, it is his values-based coaching that not only makes Hertz stand out, but also propelled him to be the one of the winningest baseball coach in Florida history. Evident in Hertz’s coaching style is his use of baseball as a metaphor for life. Hertz does not focus on baseball to solely win games; rather, he uses the game of baseball to dispense poignant life lessons to his players. Instead of strictly talking game-day strategy, some of Hertz’s favorite topics included leadership, respect, and sound mental attitudes. An excellent example of his values-based leadership came on the morning after all but three Israeli team members failed to qualify for positions on Team Israel. Coach Hertz addressed their obvious dejection head on: “I too was disappointed,” Hertz admitted, quickly getting the players’ attention and validating their feelings simultaneously. He went on to share his own story of personal disappointment, citing an episode of his life that mirrored the disheartenment he knew his players were feeling. In a no-nonsense and matter-of-fact manner, he demonstrated that disappointment is also a powerful source of strength and a mechanism for positive change. He earned every player’s respect that day, and reinvigorated their souls, transforming some negative feelings into something extremely positive — including an opportunity to cultivate loyalty, passion, accountability, integrity and teamwork. By relating to the players, his willingness to empathize with their hardships by sharing stories from his own past was uncanny. Not only did this make him a relatable leader, but it also allowed him to cultivate the respect of his team and instill in them life lessons and values that truly transcend baseball. Baseball doesn’t just build character, it reveals it. The fact that Hertz has coached so many talented players over the years, 150 of whom have gone on to play professional baseball after college, is a testament to his distinctive leadership style. It seemed an ironic punch line to many that, on the eve of the first game of the tournament, the “Gipper speech” was given by Dr. Glenn Copeland, Team Israel’s orthopedic surgeon, rather than its coach or manager. But what a moving speech it was. Doc lead by his heart, and everyone felt it. His words captured the spirit of the moment and were a huge source of pride for the team. Doc revealed that he had never felt his heart beating faster than it was that night–despite having been the Toronto Blue Jays’ orthopedist for 32 years and twice having been to the World Series. Why was his heart beating so fast that night? Because he was lucky enough to be a part of the best Jewish baseball team of all time. He made sure that everyone in the room understood that they would be tied together in one way or another for the rest of their lives, thereby setting a powerful tone and putting the historic opening night into perspective. The moment was captured here http://youtu.be/wX-56l6JGkQ. Doc became a commanding leader to the team members that night, gaining the team’s trust through his heart and enthusiasm. For two weeks, strangers from varying backgrounds and cultures landed in Jupiter, Florida and formed a cohesive team in record time. Put on display was not only an incredibly high level of baseball talent, but also a fascinating study in effective leadership styles. Upon my return to New York and to SPEAR Physical Therapy, I incorporated more of Hertz’s value-based leadership to my practice; looking for Ausmus-inspired opportunities to empower members of my team by sharing their journey to SPEAR, and using laughter as a unifying mechanism. For instance, I recently started a staff meeting with a stern look, my finger on the “play” button of a video feed, and a warning that I had been disturbed by a few things I had been seeing around the office. The video captured four SPEAR employees displaying their best “Gangnam style” moves! Just as Team Israel erupted into laughter in the clubhouse, the team at SPEAR crowed at the sight of their co-workers dancing (or at least trying to). It set the right tone of openness and camaraderie for the rest of the meeting. I have also become very cognizant of the importance of leading by example, and have incorporated Adam Greenberg’s story into my repertoire for motivating my team to overcome obstacles through sheer grit and determination. Finally, I have been trying to speak more from the heart, like Doc Copeland did; speaking to the passion of our profession and of the tremendous impact each of our staff members has on the lives of the people who walk through our doors. Ultimately, whether on the field or in the boardroom, uniting a team under the same banner is an extremely powerful experience. Through empowering my team to be their best selves off the field, I’ve found the self-actualization I pursued on the field. 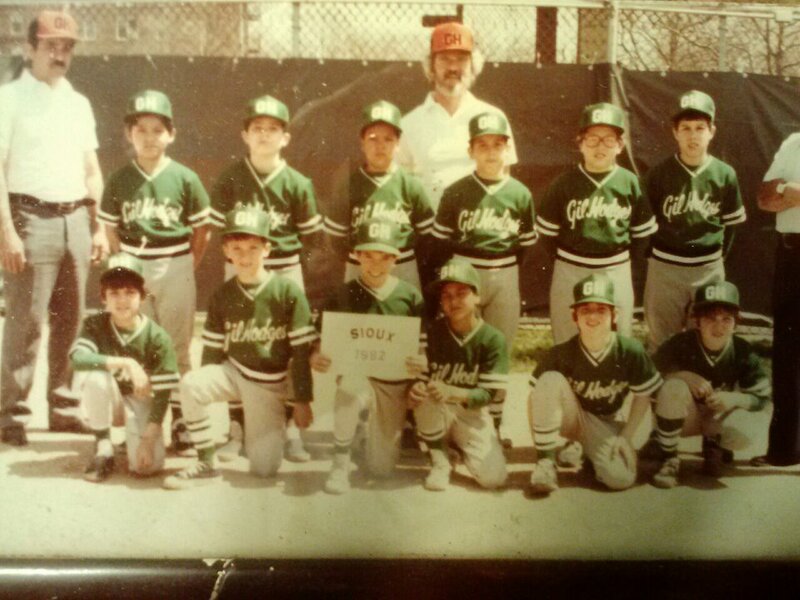 Dan (1st row, 2nd on the right) at age 10 playing for Gil Hodges Little League in Brooklyn.